This past weekend my husband M and I spent the day at our local horse track Century Downs. 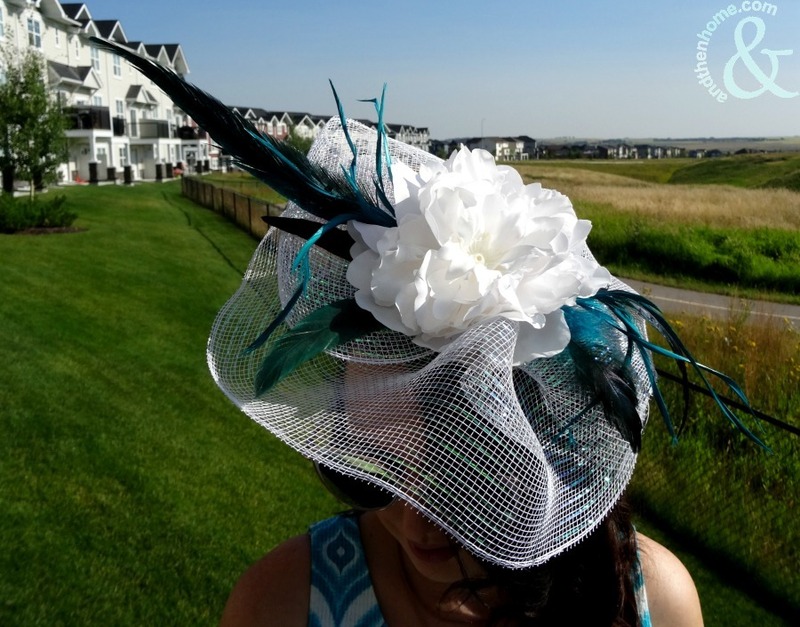 Its an event called Packwood Grand – the Kentucky Derby of Calgary. It was a wonderful day; starting off at a local restaurant with mimosas and pancakes. If you follow us on social media you may have already seen some of our day. The dress code was upscale and extravagant; with hats taking center stage. 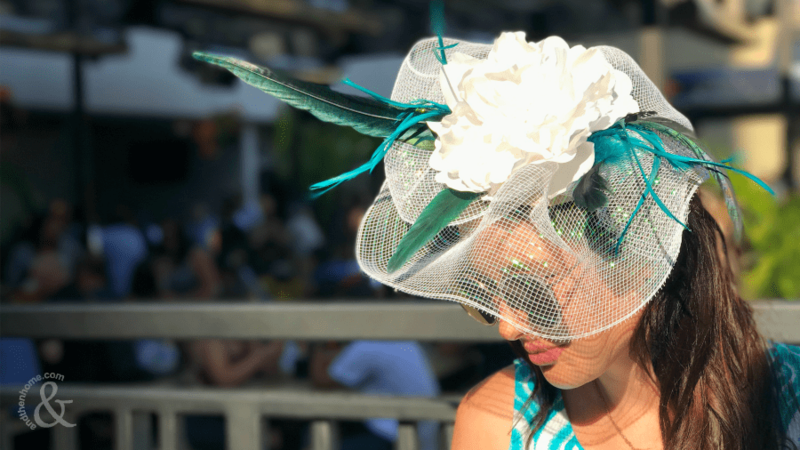 One of the most important aspects of dressing for the races is the hats and fascinators. And for crafters this is a fantastic opportunity to bring out the hot glue! 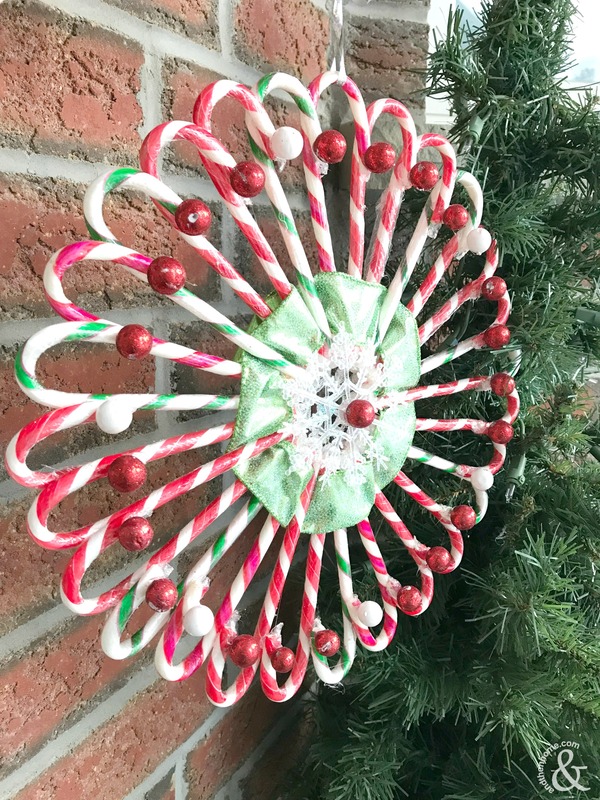 You can use just about anything to make one, it’s the perfect time to use up any extra feathers, buttons, beads, and ribbons. 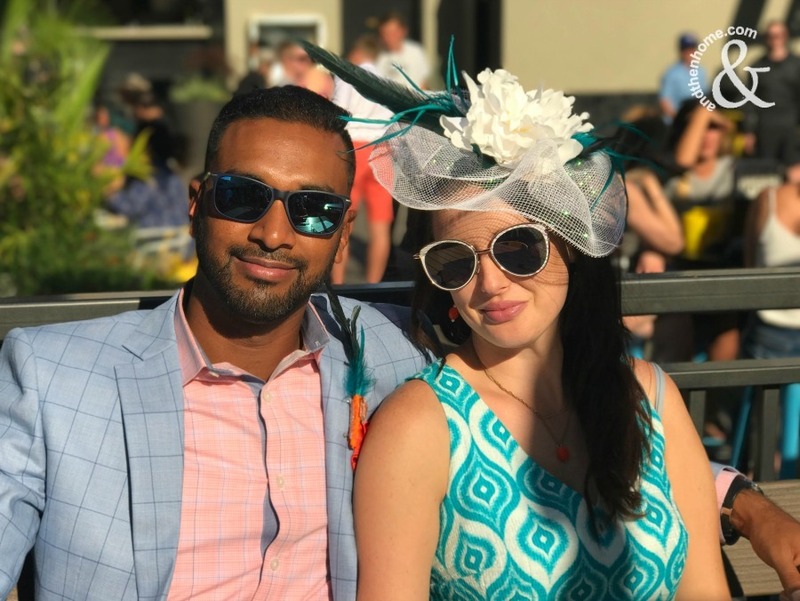 Of course, fascinators are for more than horse races. Weddings are perfect for these beautiful hats too. So lets Head off to the Races and make a Derby Fascinator. Trace a circle onto a piece of cardboard, I used an empty cereal box and a bowl turned upside down to make the circle. Cut out the circle. Cut a slit in the circle, only halfway in. Use hot glue to attach the two sides of the slit to create a small cone shape. 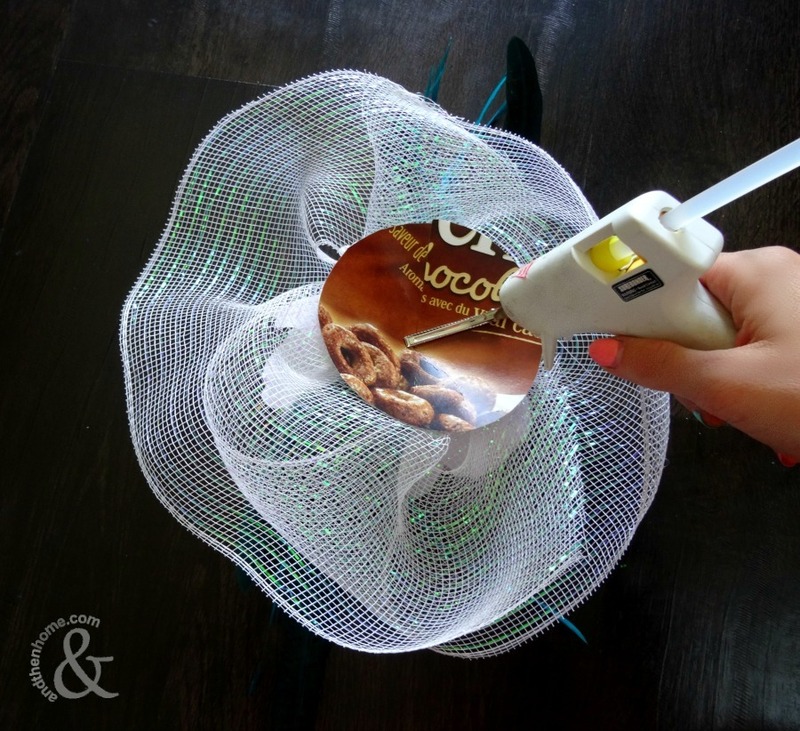 Cut a large strip of the mesh ribbon and use hot glue to attach it to the cone. 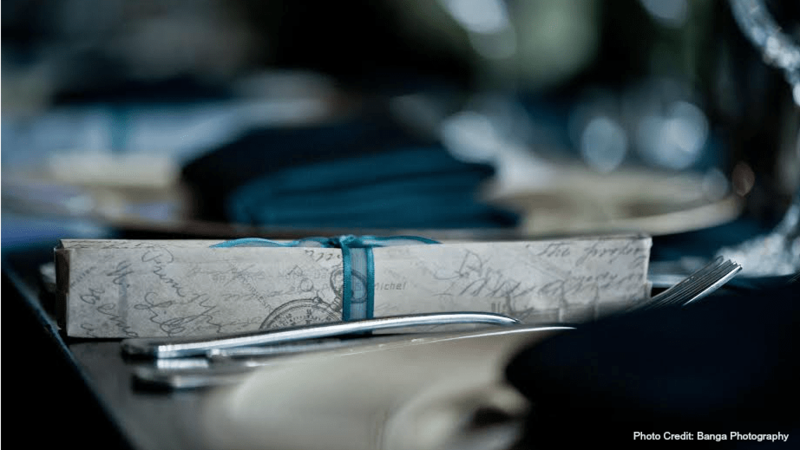 Push the ribbon up into small waves while attaching it to create shape and dimension. I used two strips. This will create the base of the fascinator. Add the silk flower on top of the mesh ribbon. Its best to remove the plastic stem and then attach the petals in layers so that the flower will lay flatter on the hat. After the flower looks how you want it, start gluing the feathers into place. Keep in mind which side will be the front so that the feathers lay in a flattering direction and don’t fall into your face. Turn the fascinator over and glue the hair clip into the cardboard cone. You can continue to add any other accessories you like to match your outfit. 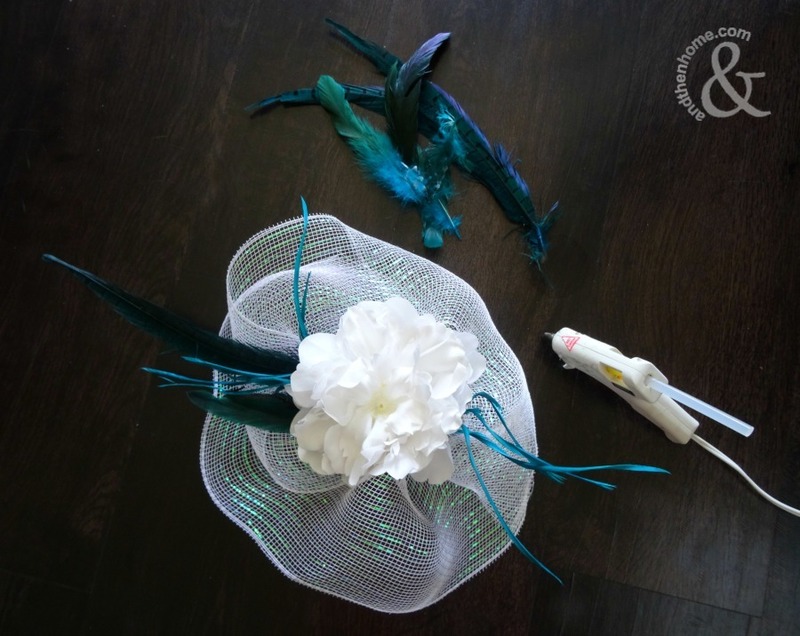 There are unlimited options for fascinators – Hobbycraft has another great tutorial you might want to check out.